If you are interested to find the Draco, you need to look at to the northern latitudes. It can be seen all year around. Draco is never setting. That is why it is circumpolar. Draco also houses the ecliptic of North Pole. When the Egyptians built their pyramids, one sideway was facing north for they wanted to view the northern pole star called Thuban. Read facts about dark matter here. The traditional name of Alpha Draconis was Thuban. The meaning of the word is head of the serpent. The Thuban is estimated to be the polar star against in AD 21000. The magnitude of Thuban is 3.7. 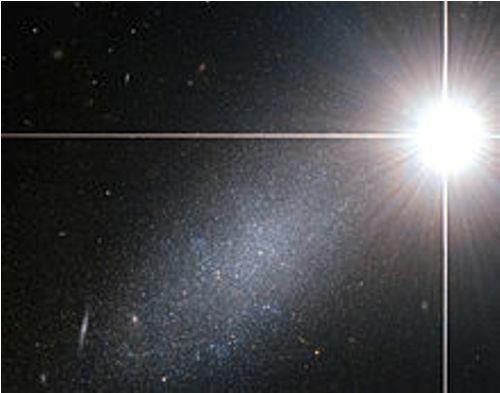 It is the blue white giant star. Gamma Draconis is another star in Gamma Draconis. It earns the status as the brighter star. The tradition name of Gamma Draconis is Eltanin or Etamin. The magnitude of the star is at 2.2. The giant star has orange color. 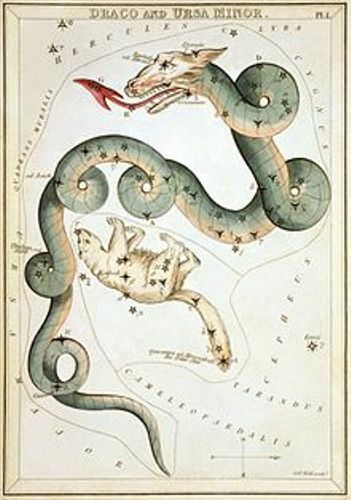 The yellow giant star in Draco is Beta Draconis. It is located at magnitude 2.8. The traditional name of the star is Rastaban. Draco also features the binary stars and double stars. 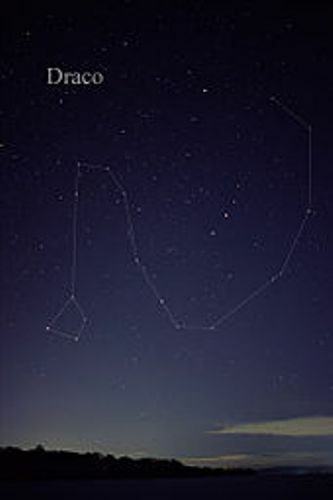 One example of the double star is η Draconis. The two stars are only 4.8 arcseconds apart. An example of a binary star in Draco is Mu Draconis. The traditional name is Alrakis. It has two white parts. Get facts about Deimos here. The next star in Draco is Omicron Draconis. Even though you only use a small telescope, you can spot the star. 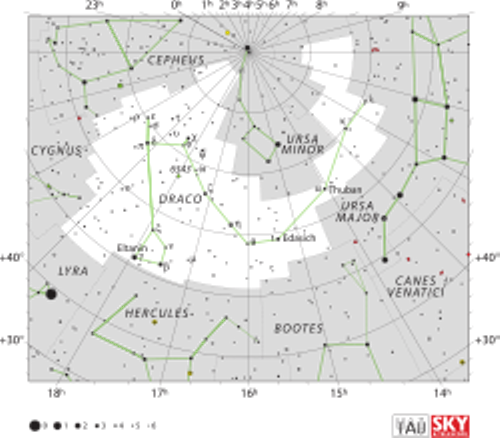 Are you interested reading facts about Draco Constellation?